Computer neck pain is a topic I know all too well. I spend about 10 hours a day on average, 7 days a week, working on my various websites. This equates to a huge amount of time spent on my computer each week, month and year. Between 2005 and 2008, I had no pain at all and could work for hours without distraction and completely uninterrupted. When my lower back pain came back in 2008, I learned to do much of my work standing up and even built myself a desk with the option to work either way. However, I soon learned that standing for long periods of time was just as brutal and although it spared my low back, it caused a huge amount of stress in my neck. It seems like sometimes we can not win in life, despite our best efforts. 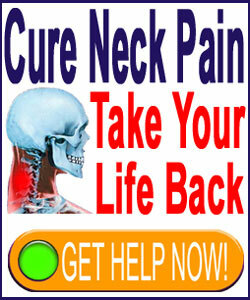 The scope of this article will examine the reasons why working at the computer can cause neck pain, as well as provide some strategies which may prove useful for those who must endure the suffering due to work responsibilities. 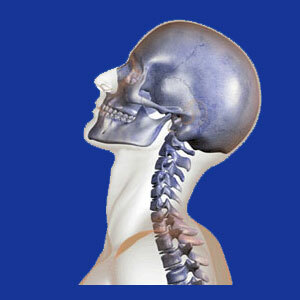 Neck pain from working is very common, regardless of what type of vocation we pursue. One might think that only manual labor jobs intensify pain, but this is a statistically inaccuracy. All forms of work have negative effects on any chronic pain syndrome. This may be due to purely physical or purely emotional factors, but is probably a combination of both contributing possibilities in most patients. Work, by nature, involves stress, physical and mental. We push ourselves to work in order to succeed and provide for our families. This puts a tremendous burden on both mind and body. Working at a computer is known to generate a variety of painful symptoms and is one of the main cited reasons for many back and neck pain expressions. Remember, computer work involves long periods of static posture, standing or seated, as well as considerable strain on the neck in many instances. Traditionally, most people sit at a desk when using a computer. This can put stress on the lumbar spine from sitting and can put stress on the neck from looking between the keyboard and the monitor. In order to reduce the occurrence of computer neck pain in this scenario, it is a great idea to set up your workstation as ergonomically as possible. Make sure that everything is comfortable for you and that the height of your chair, desk and monitor are all ideal. Most of all, never sit too long, but instead get up to stretch and move every hour. If you must stand to use a computer, all the same possible sources of pain and solutions still apply. Standing in one place for a long time is far more taxing than sitting and can cause pain in people with no spinal issues at all. Be sure to move about often and take time to sit or walk occasionally. Static positioning is never comfortable for too long, so being able to work in multiple positions is always an advantage. If you work from home, set up a multiple workstation desk, like mine. I use multiple laptops, but you can use one computer with more than one keyboard, mouse and monitor or even a shared server. I keep one computer in a traditional position for sitting and one at face height with the keyboard at chest height for standing. You can do this with a nice desk and hutch or something as humble as a few milk crates. If you do not mind moving items on your desk, you will really only need one computer, monitor and keyboard or a single laptop. If you are stuck in a traditional office, then do whatever you can to accommodate a multiple station set up. Try varying your schedule throughout the day, if possible. I like to break the day in half and then take a few hours off to get in a swim or a long walk. I do not mind working three or more times each day in shorter shifts compared to one gruelingly long one. I find this to be very helpful. Good luck finding relief while working a computer job. Never forget that the job itself might be causing much of the pain through the mindbody process. We have a tendency to develop lots of anxiety from work and these negative feelings can turn into real pain if repressed or internalized.